Jesons believes in sustainable growth that is advantageous to the customers while having a positive impact on the environment and society. We also realize that only science and research can help us do justice to our beliefs. Therefore, a culture of innovation is deeply ingrained into the system. Our innovation process goes through three main stages - research, development, and product launch. Our approach of permanent innovation to create new products and solutions ever more adapted to the needs of customer, while being very kind to the delicate ecology of the planet. 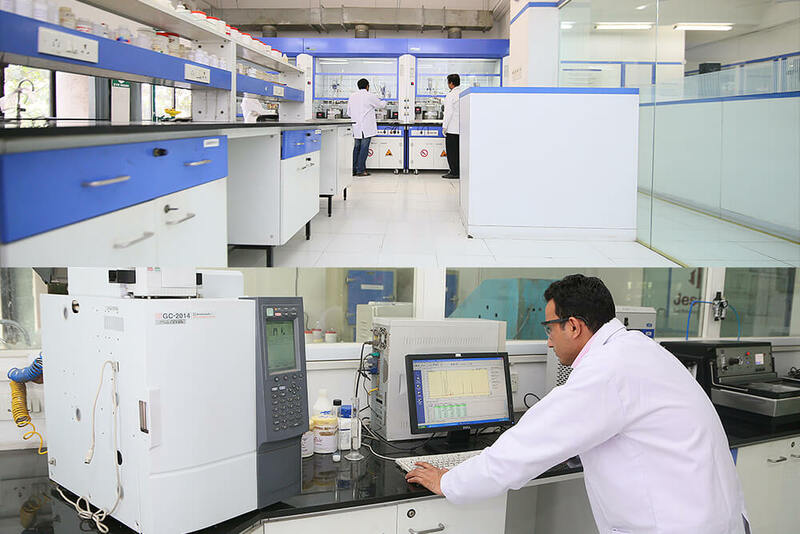 Our Research & Development Center at Thane is the heart of our product development process. It brings together the best thoughts and ideas by tapping into the best scientific expertise from within the company and working closely with specialist companies. Finding new ways to grow sustainably. Developing products that meet customer needs. Since 2012, when Jesons technology center was established, Jesons has launched many bold innovations, in products and solutions as well as technologies. All our innovations are based on key customer insights. We develop products that result in customer delight, making them choose us repeatedly. Our Research & Development Center deploys teams to draw on local knowledge - such as customer's preference and competitor products to ready a product for launch into a new market. They work closely with marketing and supply chain functions to make sure the new product can be manufactured efficiently and meets the needs of our consumers.